The Feast of Saint Osiris – Zero Equals Two! Osiris is depicted as a human male with green skin, wearing the Atef Crown, wrapped in mummy’s bandages with his hands protruding, holding a crook against his left shoulder with his left hand and a flail against his right shoulder with his right hand. His sacred animal is the bull, and his sacred color is black (the sacred color of Set, his brother and enemy, is red). The formula of Osiris is IAO. 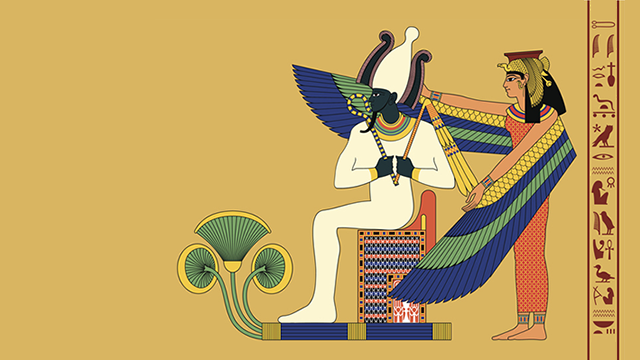 The Invisible Basilica of Sabazius further informs, “According to Forlong, the worship of Osiris included the presentation of sacred cakes, called Mest, along with a sacred wine cup.” In honor of Osiris, why not try this recipe with a glass of wine? Preheat the oven to 180°C. In a standalone mixer, cream the butter and sugar on medium-high until light and fluffy, 4 to 5 minutes. In a medium bowl, whisk together flour, orange zest, baking powder, and salt; set aside. Then beat in the eggs add eggs one at a time, beating well after each addition before adding the vanilla extract and orange juice. With a mixer on low, alternately add flour mixture mix just until incorporated (do not overmix). Use a little bit of the milk if you need to loosen the mixture. Grease the baking pan. Spoon batter into prepared pan and smooth top with a rubber spatula. Firmly tap pan on a work surface to level batter. 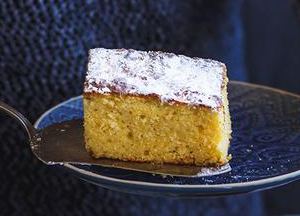 Bake for 35 minutes or until a toothpick inserted in centre of the cake comes out clean. Sprinkle with icing sugar and serve. Speaking of Thelemic liturgical calendars, I recall reading of some effort to release an IRL paper one awhile back. IIRC it was listed on one of those crowdfunding sites.